Finally, we have an awesome action trailer attached to the Duncan Jones" Warcraft (2016) movie. 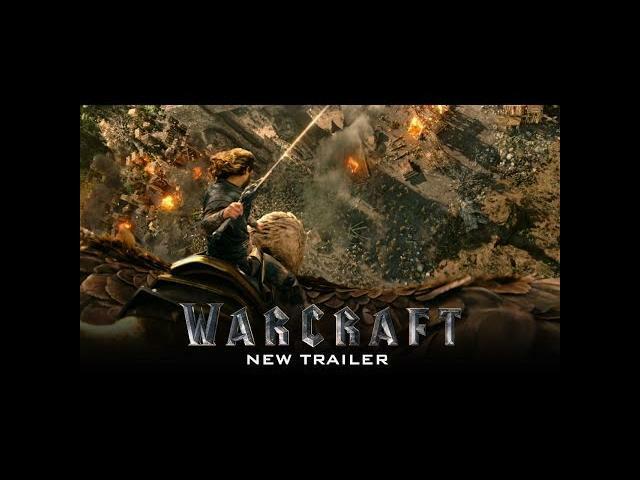 Warcraft releases in movie theaters on June 10, 2016. This movie trailer builds on the previous trailer that was for the die-hard fans but also shows that besides keeping the major story elements in play, we will also get some awesome action scenes too. Travis Fimmel, Paula Patton, and Ben Foster and more in this all-star cast for Warcraft. When the world of the Orcs of Draenor is being destroyed by the evil fel magic that uses life-force, the powerful warlock Gul'dan creates a portal to the world of Azeroth and forms the Horde with members of the Orc clans. He also captures many prisoners to keep the portal open. The king of Azeroth, Llane Wrynn and his brother-in-law, Anduin Lothar are informed by the apprentice of magician Khadgar that he has found fel magic in dead bodies and the king decides to summon the Guardian of Tirisfal, Medivh, to protect his kingdom. Lothar and Khadgar head to Kharazhan to meet Medivh and an ominous shadow points a book out to Khadgar, who takes it and hides. Anduin, Khadgar and Medivh and a group of soldiers are attacked by Orcs and they capture the slave Garona, who is released by King Llane, and she shows them the location of the portal. Garona is contacted by the Orc chief of a clan Durotan that wants to meet King Llane to stop the fel magic. Meanwhile Khadgar learns that the gate was opened with the help of someone in Azeroth. Shall King Llane trust Garona and Durotan, who might be the traitor?